A native New Yorker, K.M. JACKSON had two dreams: 1. to be a fashion designer, and 2. to be a writer. After studying fashion design and graduating from FIT, she then spent ten years designing for various fashion houses. But after having twins and juggling that and fashion, Kwana took the leap of faith and decided to pursue her other dream of being a writer. Since then she’s won RWA NYC’s Golden Apple Author of the Year Award and is a daily advocate for #WeNeedDiverseRomance. She currently lives in a suburb of New York with her husband, twins, and a precocious terrier named Jack that keeps her on her toes. 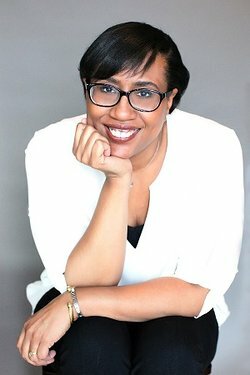 Follow her on Twitter @kwanawrites.